The musician, who masterminded the Diamond Jubilee concert, decided he had too many other commitments including being a judge on X Factor. All of the artists signed up to Future Records are to be re-housed within its parent company Universal. 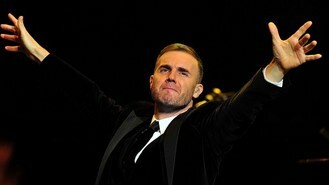 Gary told The Sun: "It's been a very difficult decision but it came down to time. "I've had a lot going on recently and I want to spend more time with my family." Gary was awarded an OBE earlier this year in the Queen's Birthday Honours for services to the entertainment industry and to charity. He and wife Dawn have three children, Daniel, Emily and Daisy, but their fourth child, Poppy, was stillborn in August.